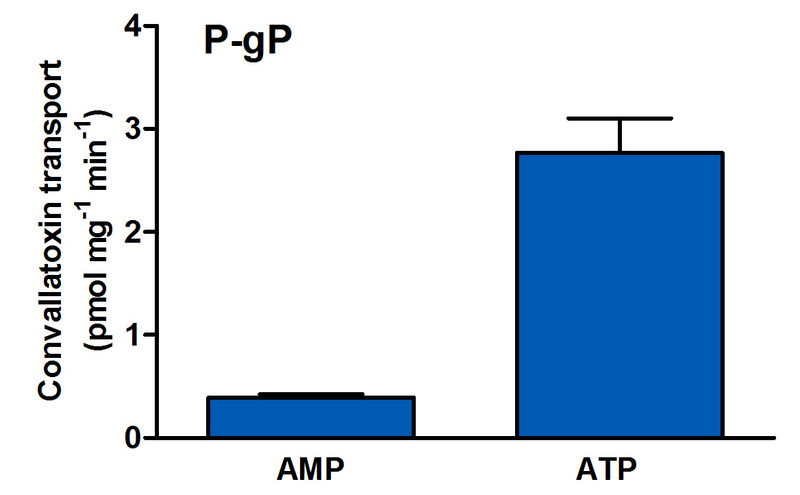 PgP vesicles with an ATP/AMP ratio >5 are readily available from PharmTox. Name: MDR1, multidrug resistance protein 1, permeability glycoprotein, P-gp, ATP-binding cassette sub-family B member 1, ABCB1. PgP substrates: convallatoxin, digoxin, N-methyl-quinidine (NMQ), colchicine, tacrolimus, quinidine, etoposide, doxorubicin, etc. PgP is present in: Intestine, liver, kidney, blood-brain barrier, many tumor cells. Available: mouse and rat Pgp.